I have been knitting like a fiend lately. A significant portion of my knitting occurs while nursing between 12 and 5 am. Then, I knit a blanket for her. 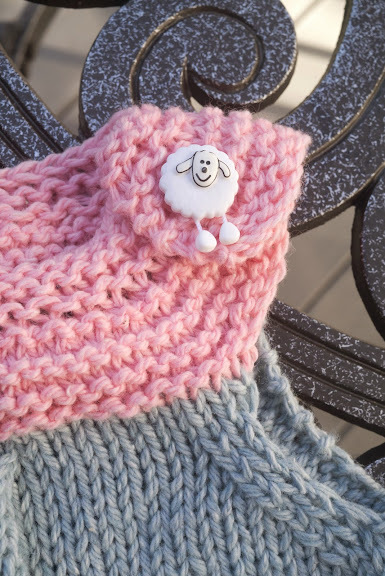 I used the same wool I used to knit a blanket for Daniel’s Henry and for Isla, though in gray. 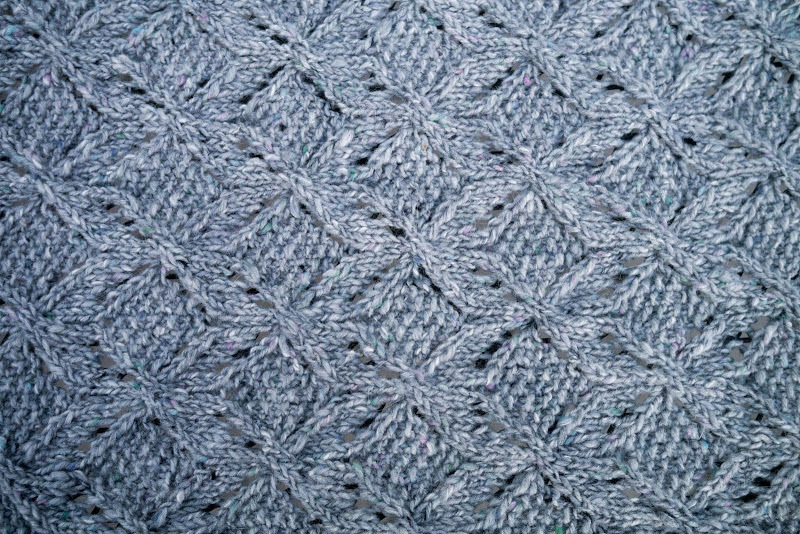 I absolutely love this wool, Debbie Bliss Luxury Aran Tweed. I love the colors, the weight, the smell – pretty much everything about it. Once again, it wasn’t long before Briony was ready to enjoy her knitted item. 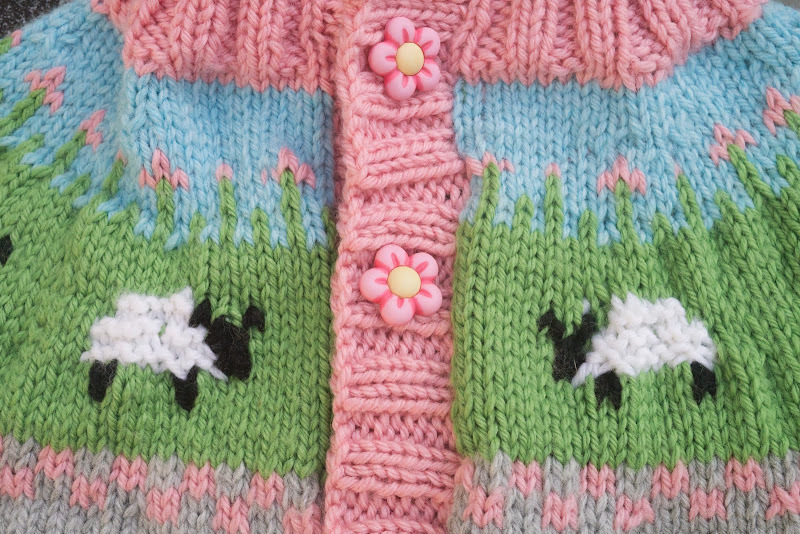 Next up was a cute little sheep sweater. I will probably give this one away, though I haven’t decided for sure yet. I have three friends having babies late this year, two girls and a little boy, so one of the girls will likely be a recipient. But we’ll see. 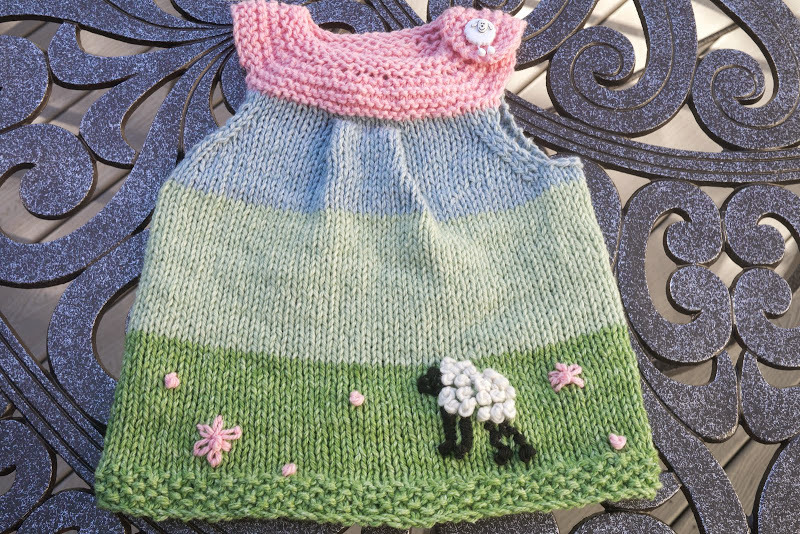 My fondest for sheep was unabated, so I set about making another sheep sweater, this one for Briony and sleeveless. 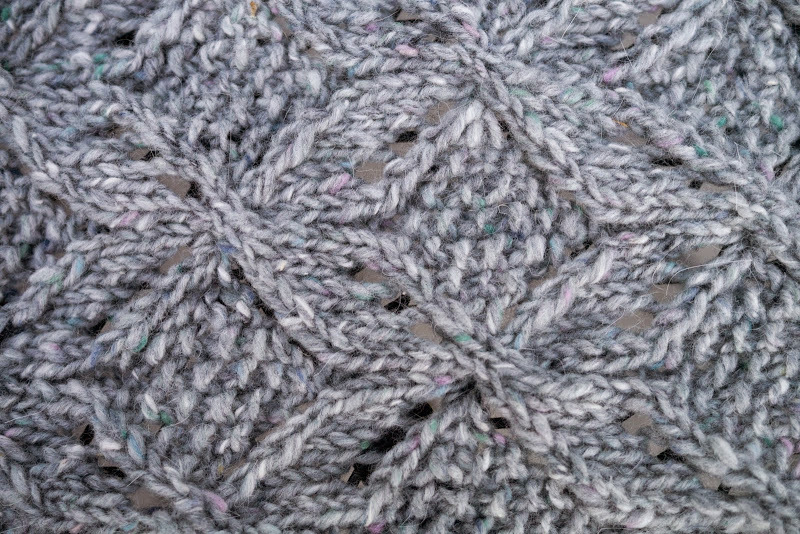 It was a quick easy knit, and I love the result. 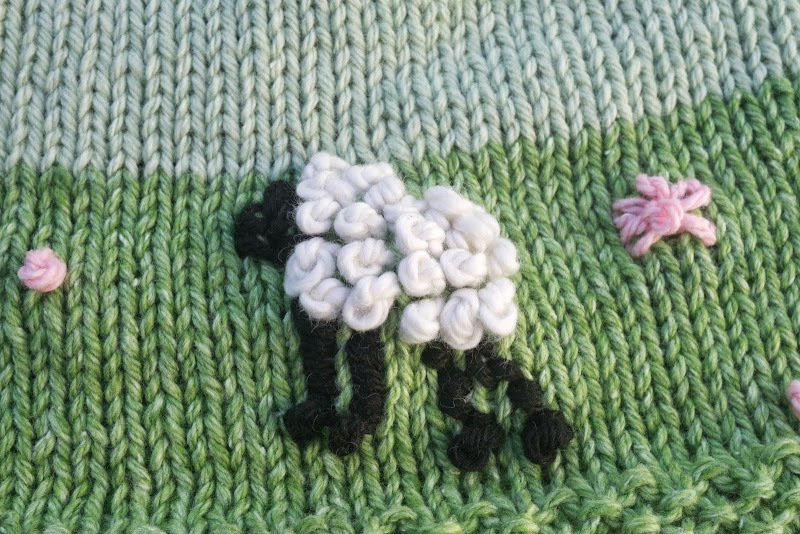 The sheep is made mostly out of French knots. I do French knots about once a year, and I always have to look up how to do them. I think the sheep turned out reasonably well, all things considered. Most of these patterns are free or nearly free, so let me know if you’d like a link to where you can find or purchase them. 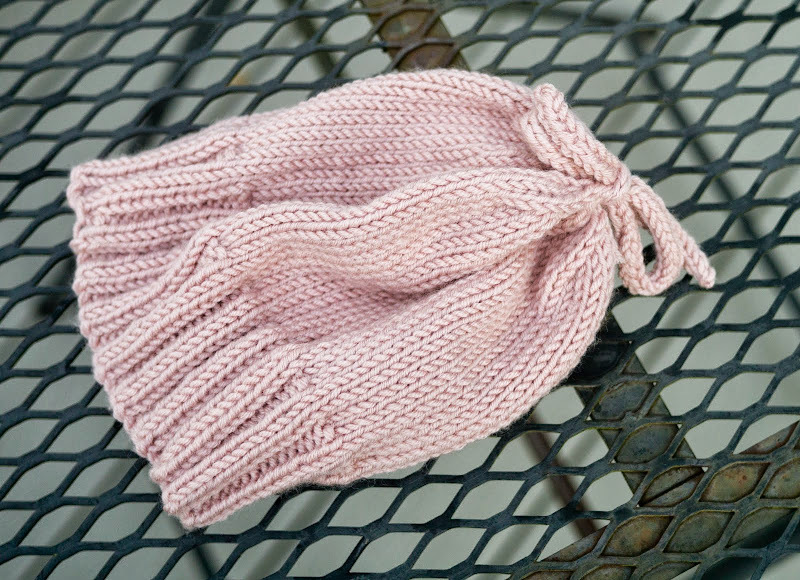 Next up will be a pair of baby mittens for Briony. Cold weather is fast approaching. They should be a quick easy knit. Maybe I’ll even do a couple pairs. I’m going to try to do something vaguely resembling them, though I’m guessing the resemblance will be slight. We didn’t have room in our old house to leave the sewing machine out, and while I was pregnant, I was too tired to sew, and I also literally didn’t have the strength or ambition to haul out the machine from it’s very awkward and hard-to-reach storage location. It’s been about a year since I tried sewing last, so I’m excited to do it again. 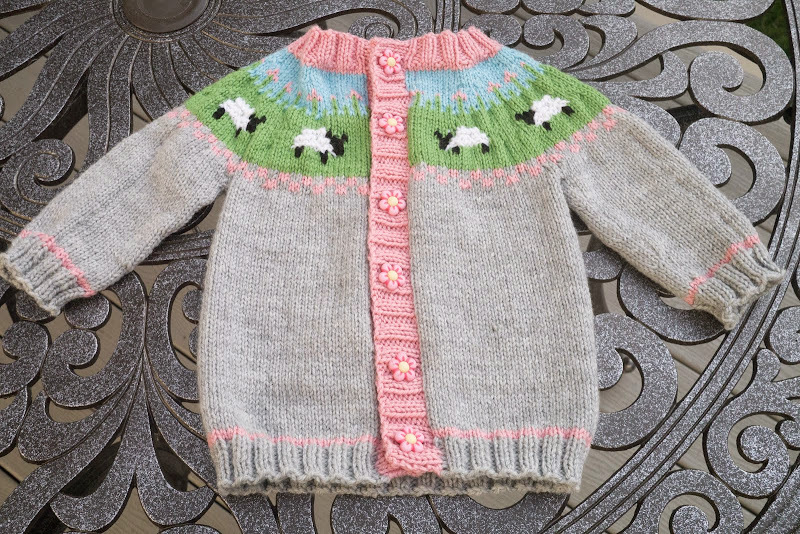 This entry was posted in Crafts, Knitting, Quilting, Sewing on September 22, 2014 by admin. When we moved, we forwarded our mail from the old address. I accidentally had my Shutterfly photobook sent to the old address. No problem, right? USPS will forward it! Um, no. Apparently, the photo book is a class of mail which does not get forwarded. Instead of simply delivering it to the old address, however, USPS “disposed” of it! Can you believe it? I am absolutely shocked! I set up forwarding, and not only does USPS not forward my package, they take it upon themselves to throw it out! They actually went to my address (as the last thing noted in tracking is “out for delivery”), didn’t drop off the mail, but instead sent it to some central location or post office for disposal. And they wonder why they can’t make money. This entry was posted in My life on September 18, 2014 by admin. Little Briony is 3 weeks and 1 day old. I’ve been spending a lot of time on the internet lately, but rarely do I have my hands free, so I haven’t been writing much. First of all, Briony passed her two week weight check with flying colors, weighing in at 5 ounces more than her birth weight. They had been somewhat concerned about her weight when we went in at 6 days, so this was a big relief and a welcome contrast to how things went with Isla. I haven’t weighed her since, but to my eye, she’s chunking up nicely. Briony almost never cries as long as you hold her and nurse her or walk with her when she’s cranky. She definitely has a bit of reflux or something, and she gets cranky when she’s trying to digest (which, of course is a large percentage of the day), but so far, I am always able to comfort her. She nurses what seems like constantly, day and night, perhaps every hour or so during much of the day. At night, however, she generally sleeps between nursing, which is so, so nice. Isla had to be held and often walked all night; at this point, B and I were pulling all-nighters in shifts to deal with it. Briony is a wonderful sleeper by contrast. I do worry that she will regress, however. Last night she had a cranky spell from about 2 am to 5 am. Hopefully it was a one-time thing. Overall, I have been enjoying the newborn period. So far, I’ve had continuous “help.” B took two weeks off, and we had N working the first couple weeks as well. Now, my parents are here, and my Mom has been watching L and cooking, so all I have to do is watch the baby. This has meant that I’m watching Briony literally 23 hours a day, which does get a bit wearing from time to time. It’s hard to believe we’ve been doing the nurse, change, repeat cycle over and over for three weeks now. It’s kind of a blur. Was I really working a mere 3.5 weeks ago? Briony had a bit of trouble regulating her temperature in the hours after her birth, so she never was bathed at the hospital. We finally gave her her first bath the day before yesterday, when she was almost three weeks old. She completely enjoyed it! For L’s first bath, there were many tears, but Briony fussed a little bit, then settled back and relaxed in the warm water. Unfortunately, she has very sensitive skin which starts flaking and peeling easily, so I think we’ll probably only bathe her once a week for a while. After the bath, I could see her skin had dried out a bit. As for me, I had a second degree tear (or tears?) and lots and lots of stitches. It seemed to take the doctor forever to stitch me up. I was pretty uncomfortable for the first couple weeks, but right at two weeks, it was like a switch flipped, and I started feeling much better. I’ve been feeling pretty good for the last week, better, really, than I’ve felt in a very long time. Weight-wise, I’m sitting at 136-137 pounds, which means most of my clothes don’t fit, which is irritating. I have no plans to diet or exercise in any way, however, until I hit six weeks. Until then, I’m going to continue taking it easy. This entry was posted in Motherhood on September 10, 2014 by admin.